The most hectic and stressful time is over for another year at work, and its now a period of calm after navigating through the December storm. This means a few decent Saturday finishes at the beginning of the new year so I can jump in the car after my shift and hopefully tick off a couple of West Yorkshire League grounds, the first of which is Boroughbridge, who faced Bardsey in the West Riding County Cup. Boroughbridge is a small town and civil parish in the Harrogate district of North Yorkshire, situated 13 miles north-west of York. The origin of the town name derives from its location next to Aldborough, the principal settlement during the Roman period and known as Isurium Brigandom. After the Norman Conquest a new town grew as the roman road was diverted north of Aldborough where it crosses the River Ure. The Old Town became known as the "Ald-Borough with the new settlement became "New Borough on t'Brigg" (Bridge), which became "Borough on t'Brigg" and finally Boroughbridge. Between the two town are the Devil’s Arrows, which are a row of three large stones said to date back to the Bronze Age. 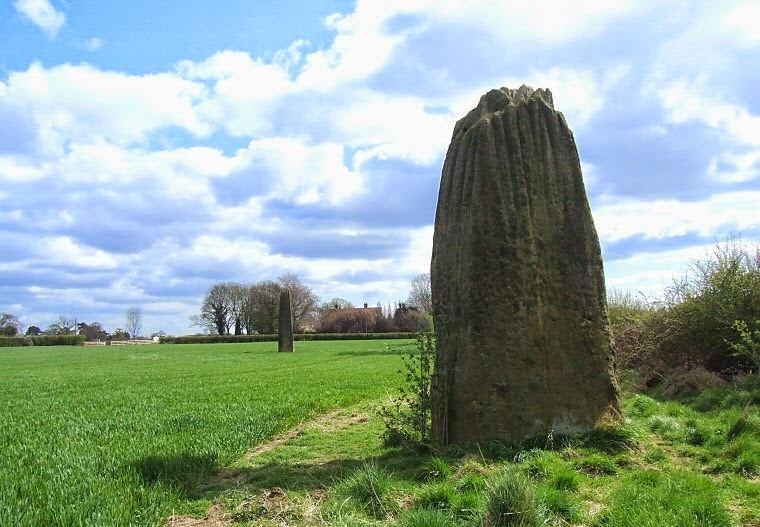 The name comes from an 18th century legend, which states the Devil threw the stones, aiming at the next town of Aldborough, but the stones fell short and landed near Boroughbridge instead. History books show the first mentions of a Boroughbridge AFC at the turn of the 20th century, with the first known honours in 1921-22 as Harrogate Amateur League Division Two champions. After the second World War they won the Ripon League and later had two teams in the Harrogate & District League, enjoying league and cup success during the 1950’s. The Bridge won the Harrogate Premier League eight time and the York Premier League on three occasions before joining the West Yorkshire League in 2002. In their debut season they were Division One champions, winning promotion to the West Yorkshire Premier League, finishing runners-up in 2004-05, there best season to date. Currently the club also fields teams in the Harrogate & District, Claro Sunday and York Corinthians leagues. I was quite impressed with the set up at Boroughbridge AFC. The Club is based in a complex on Aldborough Road on the town’s edge, which boasts a bowls club, tennis courts, a cricket pitch and two full size football pitches. The main pitch has a small white brick stand at the near side with room for about 30 spectators made up of two rows of benches next to the away dugout. On the opposite site are some unique dugouts which is basically a container cabin with the dugouts built at the front. The structure is also painted white and has the club name at the top. The pitch is fully railed off on all side apart from a hedgerow behind the goal next to the tennis courts. The changing rooms are found at the side of the impressive clubhouse which serves a selection of draught beers and a proper cup of tea in a mug at half time. 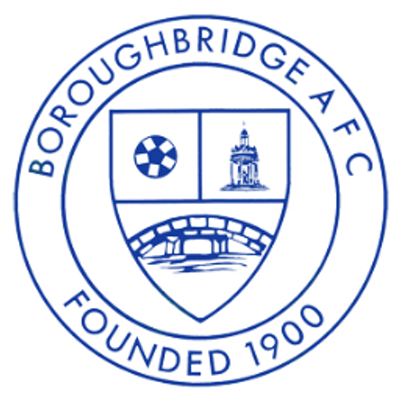 Boroughbridge have navigated their place in round four after receiving a bye then knocking out local rivals Ripon City, followed by victory over Campion in the last round. Today’s tie against Bardsey was their toughest fixture yet, with the visitors second in the table and having beating Bridge 3-0 at Aldborough Road just a fortnight ago. Another comfortable Bardsey win looked on the cards as they dominated the early stages, but surprisingly fell a goal behind after a quarter of an hour when Mickey Mullenger scrambled in a right wing cross from close range. The hosts finished the first half well and looked as if they could hang onto their slim advantage as the second half progressed, until the game flipped with two goals in a three minute spell. In the 66th minute a neat through ball for Danny Maw saw the striker race in on goal, before showing great composure to dance around the ‘keeper and slot the ball home, then minutes later a right wing cross found Nicky Seed who got in front of the defence and fired in a side foot volley. The double strike was enough to send Bardsey into the next round of the West Riding County Challenge Cup, setting up a home tie against either Salt or Whitkirk Wanderers in the last eight. After arriving in Boroughbridge at noon and parking at the ground, I walked into the town centre for something to eat and a quick look around before the 1pm kick off. The world is a small place especially when it comes to the Groundhopping community, so I wasn’t too surprised to bump into 100FgC A17 Peter Miles with his better half. They had travelled up from Essex, staying in Harrogate for the weekend to visit the two teams in the town and also catch the first half at the Bridge. I enjoyed my visit to Boroughbridge they seem a friendly club with good support and a community spirit, so this made up for a disappointing FA Cup 3rd round Saturday. The two clubs closest to my heart bowed out of the competition, one of which went out in style with a good hiding while the other produced a maladroit display, so a decent game at a nice venue more than made up for the anticipated big let down.